NLEX turned to two former Ateneo stars as it avoided the upset axe from Kia with a 119-115 squeaker to kickstart its PBA Philippine Cup campaign on Wednesday night at the Filoil Flying V Centre. Kiefer Ravena was as good as advertised as he registered 18 points, 12 boards, and came three assists shy of a triple-double, while Larry Fonacier knocked down the dagger triple and completed a rare four-point play that enabled the Road Warriors to survive a scare from the rejigged Picanto. The Picanto, fielding a more grizzled lineup after finishing dead-last the previous season, flashed their offensive potential by scoring 40 first-quarter points, leading by as many as 13 points in the second period, and standing toe-to-toe with the Road Warriors in the endgame. The Road Warriors only heaved a sigh of relief when Fonacier buried a right-wing triple off a JR Quinahan feed, drew a foul, and hit the bonus charity to complete the four-point play and put them up, 117-113 with a little over a minute left in the game. 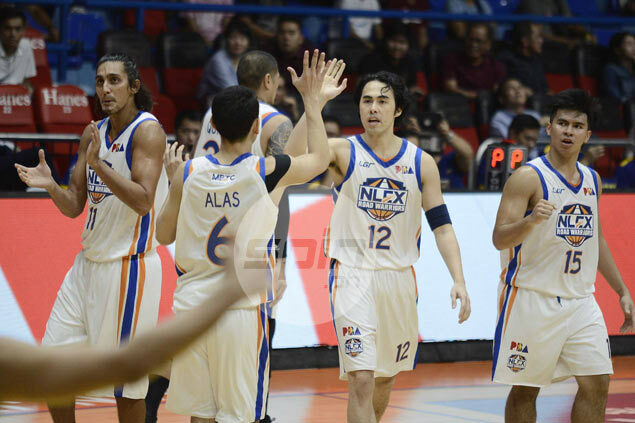 Kevin Alas took turns with Ravena in orchestrating the NLEX offense, finishing with 14 points, five boards, and two assists, while Michael Miranda provided quality minutes off the bench with 14 points and two rebounds in 25 minutes. It was a total team effort that saw eight Road Warriors score in double-figures, probably the most in franchise history. Eric Camson led the Picanto with 24 points, including 15 in the first quarter, but it was Jay-R Reyes who kept them in the game down the stretch, scoring eight of his 12 points in the final frame that just went for naught.